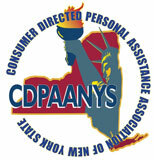 Can FreedomCare CDPAP improve your quality of life? I’ve had aides in the past, but it always ended badly. This is one of the best programs ever. I’m so happy that my niece is helping me. I have multiple sclerosis. After my second hospitalization, I realized I needed help. To have my best friend be here for me is a blessing. My caseworker, Ashley, is very helpful — I feel comfortable calling anytime. And having someone I trust work for me keeps my mind at ease. I was unhappy with the service I was getting from my home attendant. Now I’ve got a family member helping me, and I am so comfortable. I didn’t want an aide; I don’t get along well with strangers. My daughter knows me and loves me; she looks right past my attitude. With her as my aide, I think I’m gonna hit 90. You watch. I’m gonna be the first one in my family to make 90. Live reviews happening right now! "The smile on her face"
I see a smile on my mom's face because she has a loved one taking care of her. It’s amazing how happy I can make someone feel. I’m returning all the love that my grandmother has giving me for years. We brought in a couple of aides for my mother, but I could tell she wasn’t happy. Now I get to care for Mom daily — and she’s smiling and laughing. I feel really good, knowing she’s getting stronger each day. I was in between jobs, looking for a new one. I thought: ‘What’s going to happen to my mom while I️’m at work all day? When I told her I’d be caring for her everyday, her face lit up. It was a thrilling moment for me.